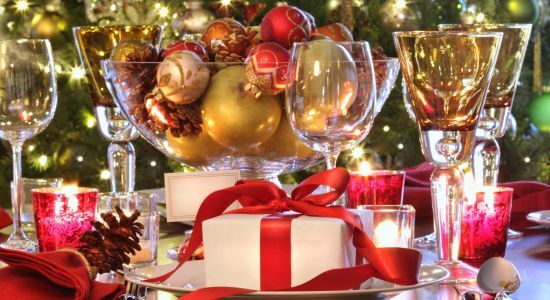 Every Christmas feast deserves to be served on a beautifully laid out dining table, with stylish comfortable chairs. 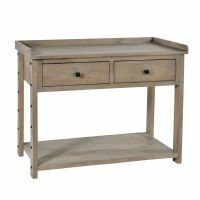 If you’re hosting Christmas this year, The Wooden Furniture Store have ideas to help smarten up any dining room ready for the big day. 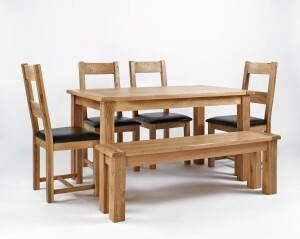 The Wooden Furniture Store stock a range a beautifully crafted dining tables in a variety of designs and sizes, from space saving solutions for compact rooms to extending tables for extra guests. 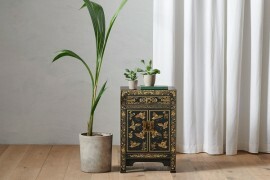 Here’s our pick of the top three. 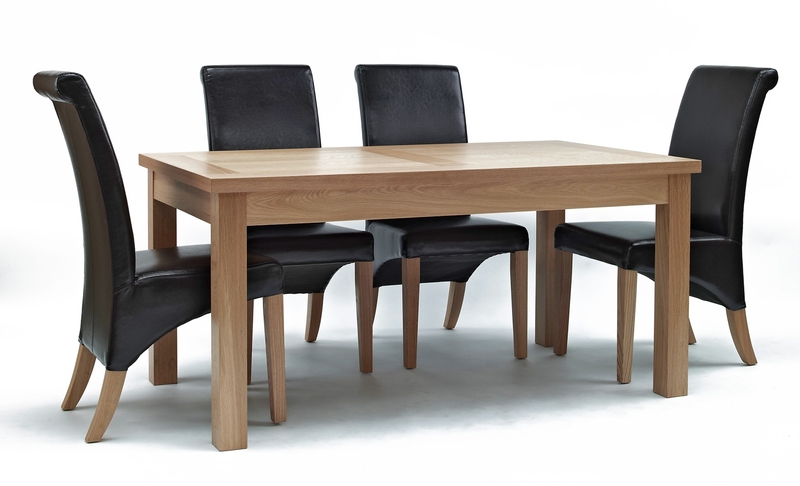 The Aston Oak 4 to 6 seater dining table is an elegant design that features contemporary solid legs, that for an extra design detail are cut into the table top. 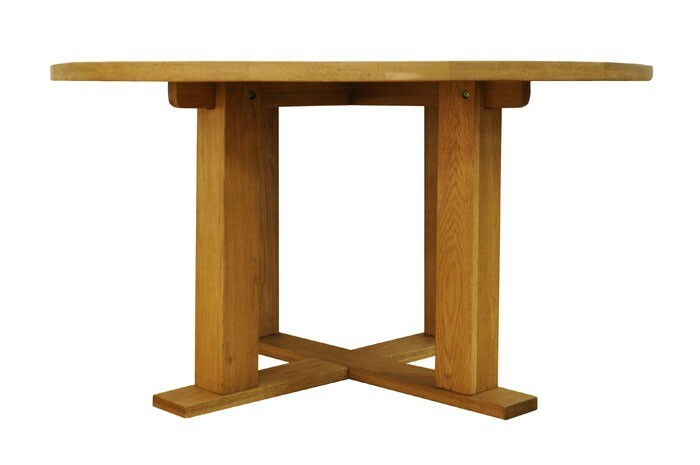 The dining table is made from traditional solid oak and oak veneers which have been given a resilient satin varnish to highlights the natural grain of the the timber. 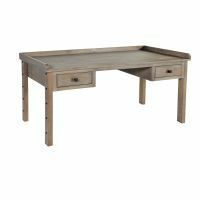 Made from oak, the rustic Dulverton dining table will add character and charm to any dining room scheme. A round table is perfect for Christmas dining and this table seats four comfortably. 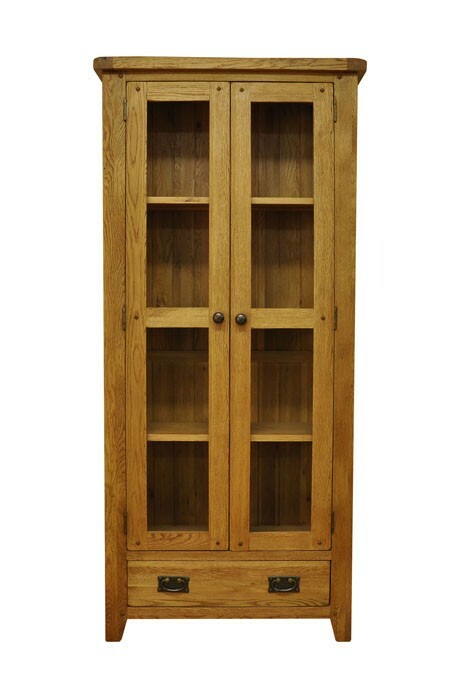 The Dulverton Oak range is treated with a wax finish which brings out the natural knots in the wood. 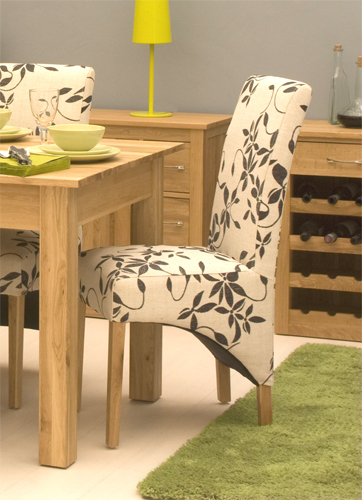 An extending dining table is a good option for Christmas as no-one wants to be squashed against a table leg. 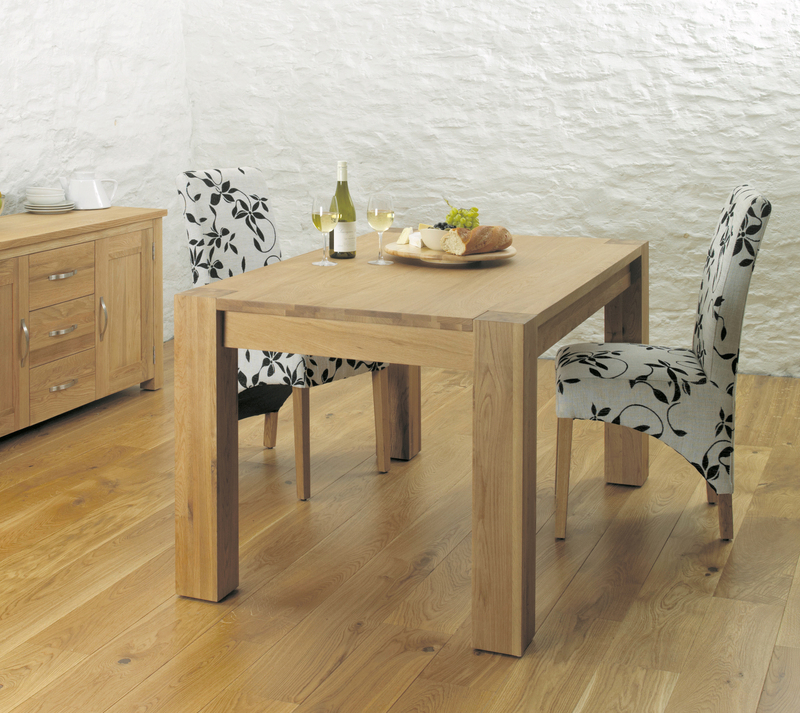 The Sherwood Oak rectangular table makes a striking addition to any dining room and is perfect for contemporary interiors. 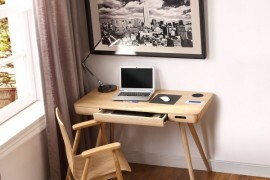 The table has 2 inserts and can seat up to eight. The Dulverton Oak cross back chair with PU seat is a distinctive, classic design and would be a stunning with any dining table. 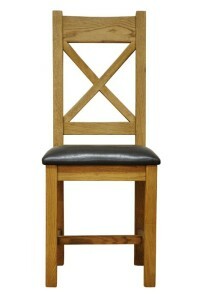 The comfy seat cushion is upholstered in dark brown PU for a smart look and a luxurious feel. 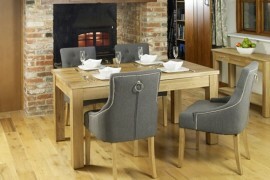 This gorgeous chair is comfortable and luxurious and has a distinctive sweeping shape that is really inviting. 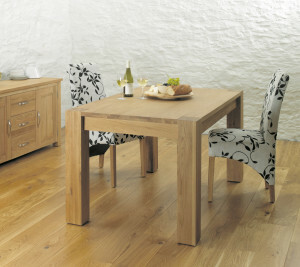 Upholstered in a brown and cream floral flock fabric, the oak legs complete the smart look. 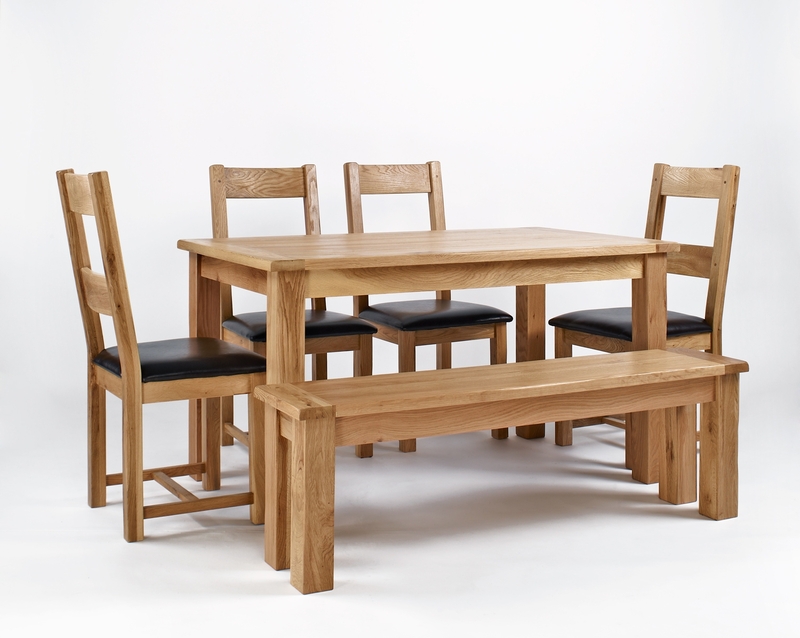 They’ll be room for everyone at the table this Christmas with the Westbury Oak bench. 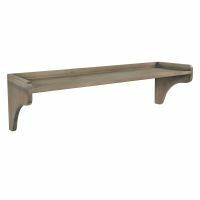 Perfectly designed to coordinate with the two dining tables in the range, the bench is perfect for children and can seat up to three. 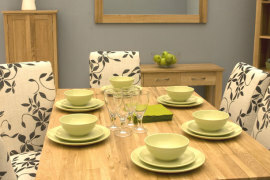 Sometimes it’s impossible to find a home for all that cutlery, crockery and table decorations. 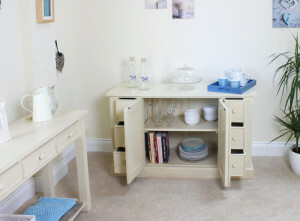 The Wooden Furniture Stores sideboards are a great storage solution for any dining room so that you can tidy things away in drawers and cupboards or proudly show off your treasures. Here’s out top three. 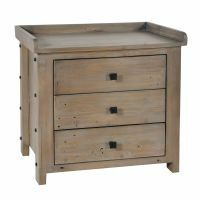 The Cadence sideboard is hand made from solid mahogany and given a contemporary cream distressed paint finish. The sideboard has a single adjustable shelf behind the double doors and six smaller drawers which are perfect for cutlery at each end. 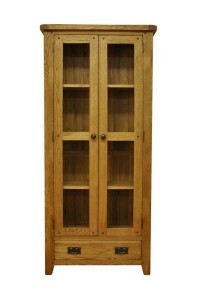 The Dulverton Oak glazed display cabinet is stunning and there is plenty of storage behind the three glass doors. 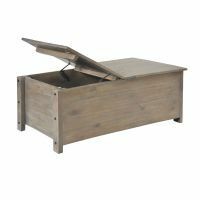 The design is perfect for showcasing your favourite pieces and as an added extra has a large drawer at the base. Crafted from high quality solid walnut, this Mayan sideboard has lots of practical storage. 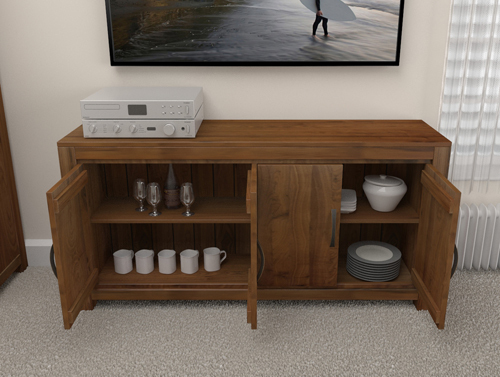 The sideboard boast elegant bronze handles and is finished with a satin lacquer to highlight the dense grain of the wood. If you need any more inspiration, why not visit the dining room furniture section of our website? 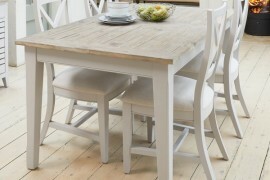 Or see our best value dining room furniture sets here. And remember…. 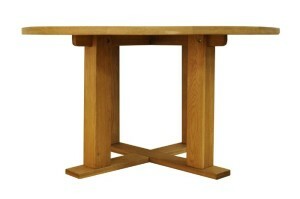 do order before 5th December for guaranteed Christmas delivery.